SUNY Old Westbury men's golf sophomore Andrew Pohalski, a native of Syosset, New York (Chaminade HS), was named the 2015 Skyline Conference Rookie of the Year and earned a spot as a second-team all-conference member. Old Westbury, NY - October 20, 2015 - SUNY Old Westbury men's golf sophomore Andrew Pohalski was named the 2015 Skyline Conference Rookie of the Year and earned a spot as a second-team all-conference member as voted on by the league's seven coaches following Monday's Skyline Conference Championship final round. 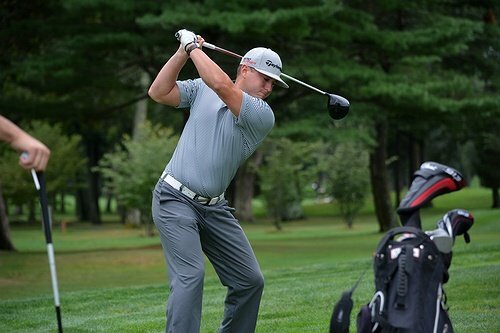 Pohalski, the program's first-ever rookie of the year and all-conference selection, represented Old Westbury at the 2015 Skyline Conference Championships (Oct. 18-19) at Brynwood Golf & Country Club in Armonk, New York. He finished tied for ninth place in the 26-player field with a two-round score of 165 (+25) from the 6,238 yard, par-70 course. Pohalski set a program record with Monday's round of 78 (+8) as Old Westbury's best individual round en route to securing its highest individual conference championship finish (T-9th). St. Joseph's (L.I.) won the team title with a two-round score of 631 (+71) to dethrone seven-time defending champion Farmingdale State (637, +77). Farmingdale State's Scott Sessions carded a 146 (+6) to claim the individual title. For the latest news on the Panthers, visit the official site of Old Westbury athletics. Also, become a follower of the Panthers on Instagram and Twitter, and "LIKE" Us on Facebook. Subject: LongIsland.com - Your Name sent you Article details of "Syosset's Andrew Pohalski Named Skyline Conference Rookie of the Year"